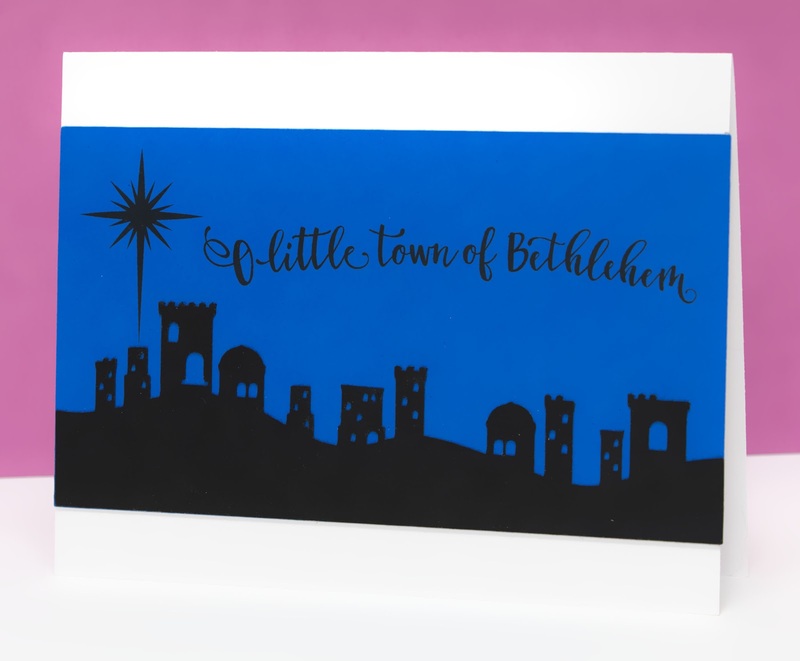 I fell in love with the O Little Town of Bethlehem (#106081) cut file from Silhouette and I could not wait to try making it. The star and script were too small to cut so I used the print and cut function. I cut the silhouette out of black card stock. The cut was intricate and small but my Cameo came through for me. I used the print and cut function to add the star and script to the dark blue paper that measures 3 1/8 x 5.5 inches. I glued the panel to a card base that measures 5.5 x 4.25 inches. This was such a quick and easy project, that I may make several versions.